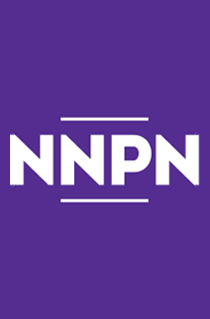 NATIONAL NEW PLAY NETWORK (NNPN) is an alliance of professional theaters that collaborate in innovative ways to develop, produce, and extend the life of new plays. Founded in 1998, NNPN continues to revolutionize the new play landscape through the strength of its member theaters, collaborate efforts, and its nationally recognized programs and services for artists and organizations. NNPN boasts a diverse roster of Member Theaters through its two-tiered membership structure: Core Members, the governing network of theaters with annual budgets over $150,000 and missions that affirm a dedication to new works; and Associate Members, companies that produce or develop at least one new work per year and demonstrate a commitment to NNPN’s values. NNPN is agile at its core and broad in its reach. As a robust collection of theaters working together across the nation, NNPN champions the indispensable nature of collaboration between theaters and theater-makers, and the vitality and cultural importance of new plays and living playwrights. Over the past twenty years, NNPN has provided millions of dollars in funding to its Member Theaters, supported hundreds of productions nationwide through its innovative programming, helped launch and sustain the careers of thousands of artists, and reached hundreds of thousands of audience members around the world with plays that were created and honed with support from NNPN and its diverse consortium of theaters and artists. National New Play Network is an alliance of professional theaters that collaborate in innovative ways to develop, produce, and extend the life of new plays. National New Play Network envisions a robust, equitable, and inclusive new play ecology that reflects a broad range of aesthetics. Commitment to diverse stories, artists, audiences, institutions, and leadership is essential to an equitable new play field. New plays are vital to our communities because they reflect, chronicle, and question the ideas, issues, and stories of our time. Collaboration is indispensable to the success of new plays.